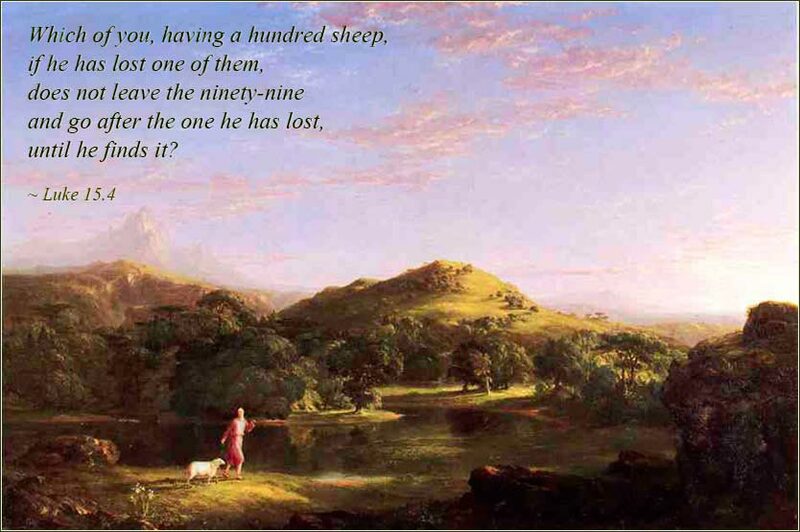 The Good Shepherd by Thomas Cole, ca. 1848. 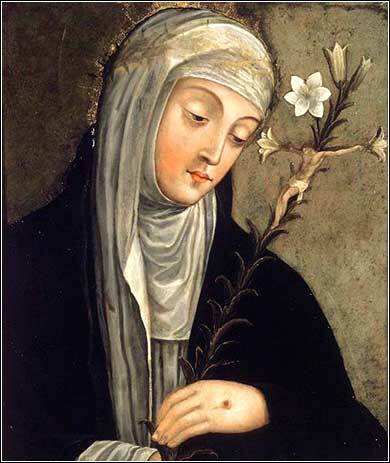 O Lord, take from me idleness of spirit, which destroys time; and vanity of thought, which hinders Your presence and distracts my attention to prayer. And if, while in prayer, I turn away from You in my thoughts, help me to return to my purpose; so that I might not avert my heart from You, during the few precious moments I dedicate to talking with You. And grant me this day, dear Lord, that You may never be completely out of my thoughts. Let me carry you as a voice to guide my every step as I slip down the path of this precious day, that I might always remember Your will, and lighten the world around me. Help me to make every moment of my day, every word from my mouth, a prayer, that I might live in Your presence. Comfort ye, comfort ye my people, saith your God. Speak ye comfortably to Jerusalem, and cry unto her, that her warfare is accomplished, that her iniquity is pardoned: for she hath received of the Lord’s hand double for all her sins. We need to take a short side trip into the history of the Bible. Around 300 B.C., a group of seventy Jewish scholars collected, harmonized, and arranged the sacred books of Judaism. They then translated them into Greek, thus creating the first real Jewish Bible, or as we Christians call it, the first real Old Testament. This is known as the Septuagint (“septuaginta” being Latin for “seventy”). We can call this the “Greek Old Testament”. This was the most accurate and consistent Jewish Bible available to the writers of the New Testament, even though it was written in Greek! It seems strange that, in the first century AD, the best Jewish Bible was written in Greek; but we must realize that in 300 B.C., Hebrew was a dead language. The language of educated men, Jewish or otherwise, was Greek. The Jews could not read a Bible written in Hebrew any better than modern Christians can read a Bible written in Latin. A thousand years later, a group of Jews (known as the Masoretes) undertook to formalize the Tanakh, or Jewish Bible, in Hebrew; the work spanned centuries and was probably finished about 1000 A.D. It is formally known as the Masoretic Text, although we can properly call it the “Hebrew Old Testament”. This is considered the authoritative text of the Hebrew Bible (Tanakh) in Judaism. To recap, we have two primary Jewish Bibles: The older Greek version from @ 300 BC, called the Septuagint, and the Hebrew version from @ 1000 AD, the Masoretic Text. The Masoretic Text is a more accurate version of the ancient Hebrew scrolls, even though compiled 1300 years later. Here is the problem: The more accurate Hebrew Old Testament (Masoretic Text) did not exist in the earliest days of Christianity, when the books of the New Testament were written. But when the Reformation occurred in the 16th Century, and the Protestants wrote their own Bible, they were able to use the more authoritative Hebrew Old Testament (which had been codified in 1000 A.D.). This is where the Apocrypha comes from. It comprises books included in the Greek Old Testament but omitted from the more authoritative Masoretic Text. Luther, Wycliffe, et al., having the benefit of the great Jewish scholarship of the Masoretes, adopted the Hebrew Old Testament as the Christian canon and thus dropped a number of books, which were included in the older Greek version but not in the newer, more authoritative Hebrew version. So all Protestant Bibles have 66 books (39 in the Old Testament) while the traditional Catholic Bible, which was compiled only a few centuries after Christ, has 73 books (46 in the Old Testament). The great English Protestant Bible, the King James Version, included these additional seven Old Testament books as the “Apocrypha”, since they were approved reading for Christians, but not considered canonical (sacred) by Protestants. There are four historical books: Tobit, Judith, 1 Maccabees and 2 Maccabees; two wisdom books, Wisdom (The Wisdom of Solomon) and Sirach (also called Ecclesiasticus); and one prophetic book, Baruch. The Catholic, Orthodox, and Protestant New Testaments are substantially identical. The Biblical canon really is not an insurmountable barrier between Catholics, Orthodox, and Protestants today. Unfortunately, the length of these notes is an insurmountable barrier to further discussion, so we will have to continue this tomorrow.